Looking for a Used Volt in your area? CarGurus has 4,631 nationwide Volt listings starting at $5,000. Fresh out of its first refresh, the 2014 Chevrolet Volt shuffles some paint colors and interior details, but carries over pretty much the same way it entered 2013. Being one of very few plug-in hybrids on the road today, the Volt still has its quirks, but drivers who do their research are well-prepared and have very few big complaints—none of which is horrible enough to take more than a half-star away from a top rating. By and large those 2013 gains are what have now secured such a coveted place for the Volt in the hearts of so many, and this year sees just the first improvements toward mainstream perfection of all those other little details. Some of those details include the cramped quarters so typical of midsize hatchback plug-ins—namely seats best for sub-6-foot folks and a 10-cubic-foot trunk before folding the 2 rear seats down. In an effort to keep more electric power reserved for driving, the Volt also makes use of extensive manual functionality for things like adjusting the seats, and this, too, is sometimes more frustrating than it's worth if differently sized people often trade-off driving. 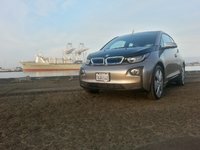 There's a few dozen more issues mentioned by the recent outpouring of driver reviews, but the long and short of it is every driver has their preferences and should test-drive the Volt thoroughly to make sure these quirks are livable. Some things like the optional navigation's confusion with voice commands and the limited set of recognized MyLink voice commands may be updated with future software improvements, but others are more staple facts of the car, such as needing to wait for everything to load up before putting the Volt in gear or else suffering still for an hour with a confused computer. All that aside, the 2013 updates made the Volt a much more viable long-haul hybrid with a Hold function that will preserve electric energy until it is turned off for city driving, meaning Hold mode relies on the 37-mpg inline 4-cylinder to power its front wheels with as little assistance as possible from the 111-kilowatt electric motor. The Volt never runs on its gas-powered engine alone, so maneuvers like acceleration and braking are noticeably hampered when the electric motor can't deliver all of its 149 hp and 273 lb-ft of torque. The generator is also reportedly loud, but not intrusively so. In all, the Volt is estimated to fetch something like 98 mpge after the 2013 updates, with a 380-mile range before needing a fill-up or recharge and about 38 miles of electric-only motoring. The added capacity also brought full recharge times up from a 120-volt 10 hours to 10.5, and a 240-volt 4 hours to 4.25. These tweaks kept its zip-to-60 mph time around 9 seconds from a standstill, and the 2014 is expected to follow suit,1 given its cosmetic-only changes aside from a wider availability of low-emissions packages compliant with Maryland, Massachusetts and New Jersey requirements. Specifically, the Premium door trim, charge port interior release, Comfort option package and “comfort grip” steering wheel are gone, replaced by a push-pop charge port door and leather-wrapped steering wheel for all Volts and front heated seats are now available for the cloth interior. Otherwise the Volt base trim continues to offer more refined features than most of its competitors by default, most notably 17-inch alloy wheels, automatic headlights, LED running lights, heated mirrors, keyless ignition/entry, remote ignition, automatic climate control, Bluetooth, OnStar and MyLink alongside a 6-speaker stereo featuring a touchscreen interface, CD player, satellite radio, auxiliary audio jack and USB connectivity. The previous Premium option package is now available as a full-fledged trim featuring leather interior with heated seats and the Bose stereo system that was standard before the 2013 price drop. 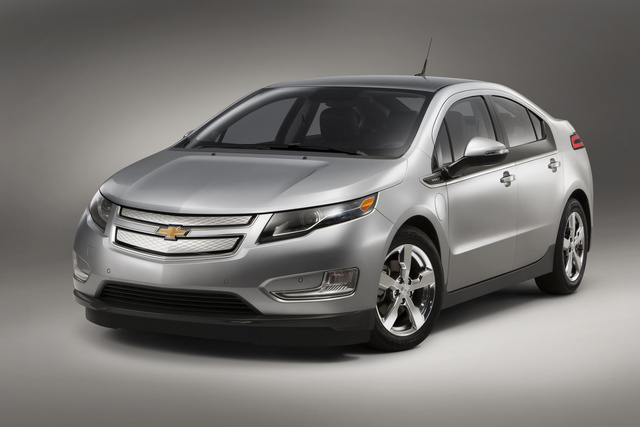 What's your take on the 2014 Chevrolet Volt? Users ranked 2014 Chevrolet Volt against other cars which they drove/owned. Each ranking was based on 9 categories. Here is the summary of top rankings. 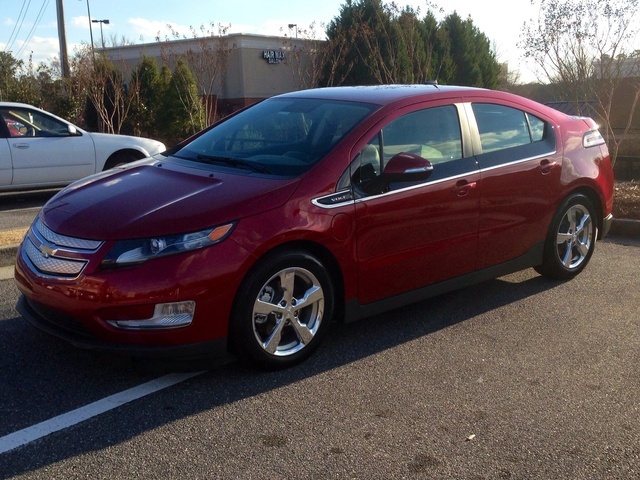 Have you driven a 2014 Chevrolet Volt?